So you want to live on a narrowboat. Good for you. But before you spend your hard earned pennies, you need to think very carefully about the boat you intend to buy. Living on board full time is very different from a two week break away from work and your home on dry land. Answer the following questions honestly before you commit to a lifestyle that may just not be for you. How do you know you’ll enjoy a life afloat? I’m sure that you’ve at least spent a holiday week or two on a narrowboat but how do you think you’ll cope on the boat full time? Will the never-ending chore of topping up your coal, wood, gas and water in all weather begin to get you down once the honeymoon period is over? Are you prepared to move your toilet or your boat to a waste disposal point in rain, ice and snow? If you don’t have a long term residential moorings will the legal requirement to move every fourteen days get you down? You know yourself better than anyone else. Be honest with yourself. What do you want your narrowboat for? Do you want to cruise permanently along the canal system to explore all two thousand plus miles or do you want to moor in a fixed position and not move at all? 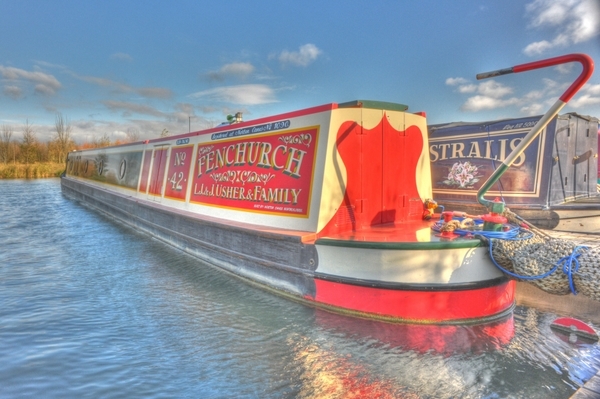 The longest narrowboat you can buy is around seventy feet. Seventy feet is great for space but if you want to explore all of the system on your boat, you need something a little smaller. The shortest lock on the network is Salterhebble Middle Lock on the Calder and Hebble Navigation at 56 feet. However, the lock is 14’2″ wide so you can shoehorn a 60′ boat into it. Sixty feet then is the maximum boat length for you if you want to travel everywhere on the system. Do you want a permanent base for your narrowboat? Think about this very carefully. British Waterways who control most of the waterway system are very strict about a narrowboat owner’s status on the waterway. You must have a home mooring when you apply for your Waterways license. There are two exceptions allowed. The first is if your boat is removed from the water. It’s their equivalent of the DVLA’s SORN status. The other exception is if you are going to continually cruise the network. You still need a license but not a home base, but you must comply with their criteria for continuous cruising criteria. If you still need to travel to work continuous cruising status is not for you. There are three different types of mooring; online, offline and marina. An online mooring is on the canal bank. An offline mooring is off the canal but not in a marina. A marina is a purpose built basin with a range of facilities to cater for your boating needs. There’s a full list of the narrowboat friendly marinas in England and Wales on this site. You need to think carefully before choosing a marina. Please read this article before considering one. Do you want to live on your boat ALL of the time? 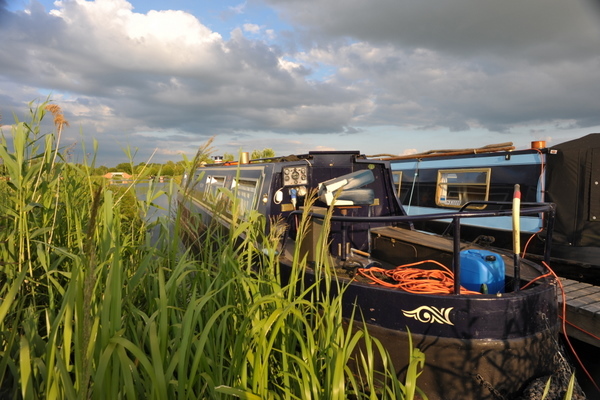 Many narrowboat owners – even the most enthusiastic cruise-nearly-ll-year-round boaters – like a break from life on the cut. They keep a home on dry land for such occasions and for the majority of their possessions that simply won’t fit on the boat. They also retain a postal address. Boaters with no home on dry land have to rely on relatives to receive their post and have to either sell possessions that won’t fit on the boat or put them into paid storage. Who are you going to share your narrowboat with? Are you going to begin this adventure on your own or do you intend to share your life afloat with your significant other? Have you ever spent a significant amount of time in a small space with them? Depending on the style of narrowboat you buy even on the longest 70′ boats you will be constantly sharing a living space no more than 60′ long an 6′ wide. That space has to accommodate both you and your partner, all of your clothes and possessions and maybe even a dog or two. Can you live comfortably like that? What style of narrowboat will suit you? There are three main styles of narrowboat. The traditional or trad, cruiser and semi trad. Each has a slightly different rear end. The traditional stern offers more covered living space but very little space at the rear to stand and steer. The narrowboat below left has a traditional stern. Astralis, the narrowboat on the right, has a semi traditional stern. Although they look very similar, you can see a cover over the visible portion of the boat. This is protecting the “walled” standing space at the rear. Cruiser stern narrowboats have an open plan rear deck. They were developed for hire fleets so that there is space for hirers to socialise while they travel. The narrowboat below has a cruiser stern. Most narrowboat owners who spend most or all of their time on board choose a boat with a traditional stern. What “home” comforts do you want? Talking of comfort, which of life’s luxuries can’t you do without? You can have satelite television, electric kettles, hairdryers, microwaves, washing machines and dryers… but they all come at a price. If you are going to be permanently moored in a marina you shouldn’t have a problem if you have access to a mains power supply (and your boat is fitted with a connection for mains power). However, when you leave your mooring and your mooring power supply you will have to rely on your boat’s electrical system. By default, your boat will have a 12v power supply which is sufficient for low power lighting and very little else. If you want to power any other electrical items, you will need to fit an inverter. An inverter uses the boat’s engine to create electricity which is stored in a bank of batteries near the engine. The more power you need for your appliances, the bigger the inverter and battery bank requirement. How much boat “tinkering” do you want to do? Do you relish the prospect of days spent oily to the elbow and alone with your engine? If you don’t, a classic maintenance intensive engine is not for you. Make sure that the boat you choose has a reliable engine that can be serviced at most of the hundreds of boat yards throughout the system. Some narrowboats are “raw water cooled”. They draw water from the canal through the engine and then out of the exhaust. On occasion you will need to clear blockages from the filter. Raw water cooled engines are in the minority but check before you buy. Many new narrowboat owners would like to make changes to their boat or to sell their boat and buy another of a different length or style. Selling a boat these days can be a lengthy affair. There are several thousand for sale at any one time. There are nearly 1,000 for sale on this web site alone. By thinking carefully about your own answers to the questions above, you can avoid a costly and inconvenient mistake when you buy your first boat. I have a question – A few years ago I was stationed at Bramcote Barracks where Marie and I used to walk along the canal towpath regularly. There was works taking place to build a new Marina along this stretch of canal not far from the Barracks. Having looked at your Marina listings I can see nothing in that area. I know there was a a few objections to the new marina plans. Marie and I were posted away and we have not been back to the area since. Do you know any thing about this marina? Can you give me a little more information? If it’s Bramcote Barracks near the Ashby canal, the closest marina is Trinity marina. Is this the one? No, it is not Trinity Marina – we know this marinaquite well, our friend uses this marina (Pete and Val – on NB Tiger B). The canal which runs past Bramcote Barracks heading towards Burton Hastings, there was a farm which requested permission to setup a Marina but we moved on before we anything else happended. Dont worry about it too much – Marie and I like this area and we enjoyed walking along the towpath. i live in ontario canada i am 45 years old and my mother is a british citizen. i am currently looking at coming over to trvel your canals for 3 years. has any body have any sugestions on doing that.i’ve done a lot of reaserch on narrow boating and i’m intreaged. We have had a number of Australians and New Zealanders pass through here on their travels. What many of them have done is buy a used narrowboat to cruise the network in during the warmer months, leave the boat on temporary moorings over the winter while they return home, then they sell the boat when they have had enough of the canal system. It seems to work for them very well. Hope this helps. we have decided to give livingaboard a narrowboat as an opportunity to see more of england in a hopefully relaxed way, i was wondering if its also a socialable way of spending our time especially in the winter time. we hope to buy a boat later this year and will start our adventure in the autumn. we have a old english sheep dog who will get us out and about so watch out for us!